Uber gave CNBC its second-quarter fianancials. Uber’s Q2 net revenue was $US2.7 billion, up 51% from the same quarter last year, and gross bookings were $US12 billion, up 41% year-over-year. That represents a slight slowdown in growth from Q1. Uber is cruising toward $US10 billion in revenue this year, despite a recent slump in growth, according to the company. On Wednesday, Uber provided its second quarter financials to CNBC, reporting that the company generated $US2.7 billion in net revenue, up 51% from the same quarter last year. Gross bookings were $US12 billion, an increase of 41% year-over-year. Uber’s revenue and bookings growth dropped off slightly since Q1. Net revenue for Q2: Uber reported $US2.7 billion, up 51% from the same quarter last year. At that rate, Uber is on track for $US10 billion in revenue this year. Gross bookings for Q2: Uber reported $US12 billion, up 41% year-over-year. Adjusted net loss for Q2: Uber reported $US659 million, up from $US577 million in Q1. There’s no standard definition for how a company comes up with this “adjusted” figure. Gross cash on hand for Q2: Uber self-reported $US7.3 billion at the end of the June quarter. That’s an increase of $US1 billion from the quarter before. Uber is a private company, which means the company volunteers these financials to its own investors on a regular basis, but it does not publicly report them in a government filing every quarter. However, in the past, it has shared these figures with the media. 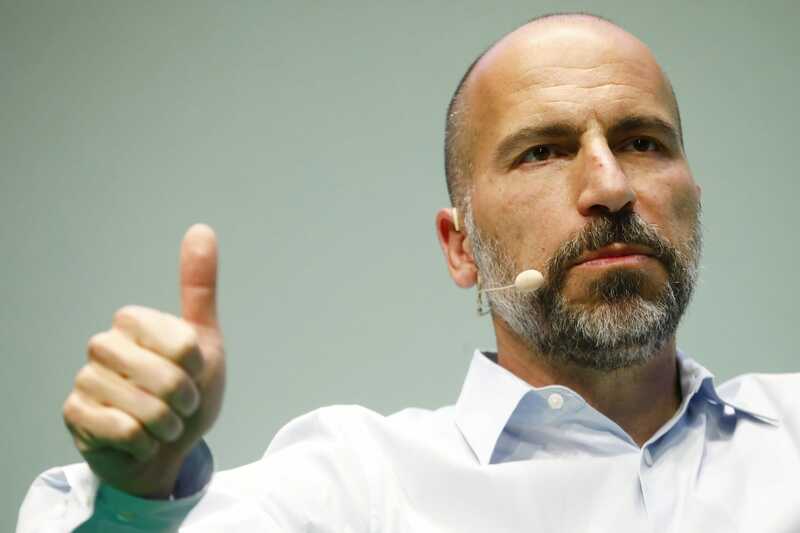 Uber CEO Dara Khosrowshahi has said that he sees the startup on track for a 2019 IPO. It was last valued at $US69 billion by private-market investors, though SoftBank recently purchased shares in the company at a $US48 billion valuation.